Howdy and welcome to our special profile section in Cas City. 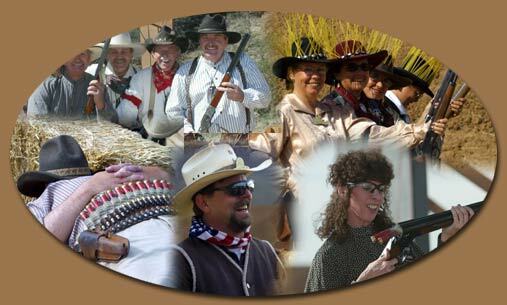 In this section you will find Cowboy & Western Action Shooters from around the world. They will give you an insight about their adopted Old West character or profession, their clothing, guns & gear and recent news about themselves. You can also contact them, by using the email form on their profile page. I hope you will enjoy this special presentation of many of the great personalities you will find in our sport. Have a good time reading the profiles. If you already have a profile published, login for updates. If you want to publish your profile, please register. If you just want to visit our citizens and look at their profiles, scroll down or click on the search button on the menu above. If you have questions, look up our FAQ section in Forum Hall. sponsors and fellow shooters .